With the help of Turkish TV series, the demand for Turkey from the South American market has made the leap. In the first 8 months, the number of tourists with mostly high level of spending from South America leading Argentina and Brazil, increased by 70 percent to 165,000. According to the statement from Union of Turkey Hoteliers (TÜROB), the union officials prepare a report as a result of their connections in Argentina Tourism Fair which is one of the most important tourism fairs in South America. According to the report, the positive reflection of Turkish series in South America markets where Turkey welcomes yearly almost 250 thousand tourists from continues. It is stated that South America, which has been growing continuously for the last 10 years except for the decline in 2016, is hard to define as a large market in the number of tourists. On the other hand, the proportional increases in the number of tourists coming from countries such as Argentina, Brazil, Chile and Colombia increased to a remarkable level. Double-digit increases are projected in 2019 in case of continuation of current conditionsMeanwhile, tourists from this region are mainly in the upper income group and their spending levels are high. In the evaluation of TÜROB, it is stated that the Turkish image has increased since the last five years thanks to the series published in South America. 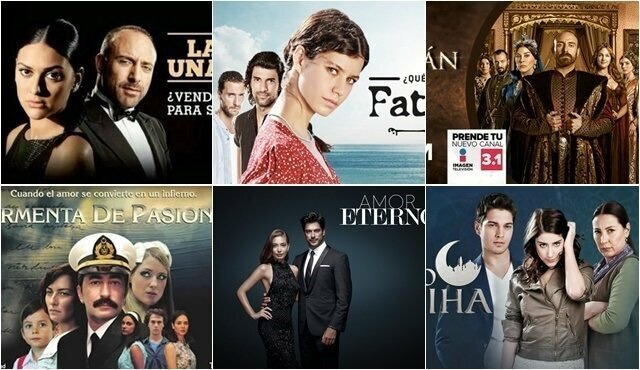 TÜROB Chairman Bayındır said ” In recent years, the Turkish series has begun to be published in Argentina and Brazil and they have very serious audience masses in a time like prime time. With the influence of this current, over a thousand newborns born in South American countries were given names like Omer Elif and Onur. Conexio Consulting is a firm based in Istanbul, Turkey to help you with your actiivies in Turkey from South America considering all these latest news. With the help of Turkish TV series, the demand for Turkey from the South American market has made the leap.